Jet makes shopping easier than ever, with everything from organic groceries to fitness trackers in one place. You’ll get free shipping over $35 and 2-day delivery on thousands of essentials, but that’s not all. We also offer friendly 24/7 customer service, so whether you’re buying baby gear, living room furniture, or the latest electronics, you never need to worry. Just download our app to start shopping — and make managing your life a little bit easier. We've made small improvements and bug fixes to make your shopping experience easy peasy lemon squeezey. Got any feedback on the app you want to share? Any cool ideas? 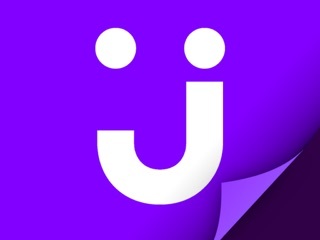 Our ears are open -- drop us a note at feedback@jet.com! A shopping app unlike any other, Jet lets you purchase a huge assortment of competitively priced items—everything from camera lenses to cereal bars. The more you put in your cart, the more your savings grow, unlocking new items at discounted rates. Thanks to an enormous selection, a super-slick UI, and a tab that calculates just how much you’ve saved with the app, Jet turns an errand into an experience. The last three orders I received had at least one product damaged. Not sure if it was in transit or at the packing facility. Overall I am pleased with everything except the damaged items. Thank you! UPDATE: Customer service is fantastic no complaints there. I have downgraded my original 4 stars to 1 stars. I ordered from Jet, my order was to arrive on Saturday August 25th. It did not show up. I left a review for the shipping experience. I was immediately contacted about either getting a full refund or having the items ordered replaced. I requested they be replaced. My first order that did not show up, showed up on Tuesday. The box was banged up really bad and half of the items were damaged. The replacement order showed up Wednesday and they were not damaged or banged up. I don’t understand why the first box was enormous for what I ordered, it was not a lot. That box got thrown around and the poor packing is to blame as well for the items being damaged. Fed Ex delivered the first order late and clearly did not handle that box with care. UPS delivered the replacement order and the box was fine, not banged up. Because this is the third time I have received damaged items I am no longer shopping with Jet. I don’t know how many packing facilities there are for Jet, but I do know someone is dropping the ball and not doing a very good job of packing the items people order. From the first time I ordered 2 years ago until now I have not had one bad experience with Jet. The customer service is amazing! So kind, helpful and understanding! I’ve honestly never witnessed this type of company before. My last interaction, has left me lost for words. My package was delivered to my old address (somehow my new address wasn’t checked, my own fault) the package was not retrieved and without explanation (and MERCY on the person who kept my items) they shipped me a replacement free of charge ($60 worth of items) the kind woman that helped me was just quick and compassionate! I was so upset and overwhelmed and she just said “we are taking care of it, your package will be there in 2 days” I will forever be a customer and I am so thankful for you, Jet and all of its JetHeads. In my time of chaos of that situation, my 2 year son just got out of surgery and my 4 year old daughter broke her elbow, Jet gave me peace. BRAVO JET! I hope everyone sees how awesome your company is and I will continue to rave about you (even MORE now!) thank you so much I can’t thank you enough.